Scientists already thought that the Antarctic ice sheet was melting, but the speed at which the melt is occurring was a mystery until now. Using satellite imagery and computer vision, NASA was able to build what scientists say is the clearest view of the ice melt so far. The U.S. space agency compiled data from hundreds of thousands of satellite photos taken from Landsat satellites owned by NASA and the U.S. Geological Survey. It then used all that data and images to build a detailed map of ice flow across almost all of Antarctica using computer vision which allowed them to locate features in two images that match. The team also developed its own software to process all the data and build their model. The lead author of the study said that when they started studying the changes in the Antarctic ice sheet, all they had was one map showing ice flow, which had been built using data that scientists had gathered over a decade. That ice flow map was published in 2011, and at the time, it was considered to be “revolutionary,” lead author and researcher Alex Gardner said. After completing their map of the Antarctic ice sheet, they now expect to track changes in the sheet’s melting every year. In addition to tracking the melting, scientists also believe they will be able to determine how the ice flow in Antarctica is accelerating or decelerating over time as conditions in the environment change. The NASA team published their findings in the journal The Cryosphere, and while much of what they discovered about the melting of the Antarctic ice sheet was what they expected based on findings from previous studies, there were a few surprises. The biggest surprise was the accelerating glacier flow into the Getz Ice Shelf, which is located in southwestern Antarctica. Scientists had not previously picked up on that acceleration, which they believe to be due to thinning of the ice shelf. The scientists also discovered the fastest acceleration in Antarctic glaciers over the seven years they studied the ice shelf. They discovered that the glacier flow into Marguerite Bay on the western side of the Antarctic Peninsula accelerated dramatically, with the flow rate rising by about 1,300 to 2,600 feet each year. They believe this acceleration is due to warming of the adjoining oceans. The NASA team also measured a steady flow rate from the East Antarctic Ice Sheet, which maintained a steady discharge rate into the ocean between 2008 and 2015. The scientists added that although other research conducted using gravitational changes and volume measurements previously suggested that the melting of the ice sheet was holding steady, their new study offered further confirmation because they were able to directly measure the melting of the ice sheet. 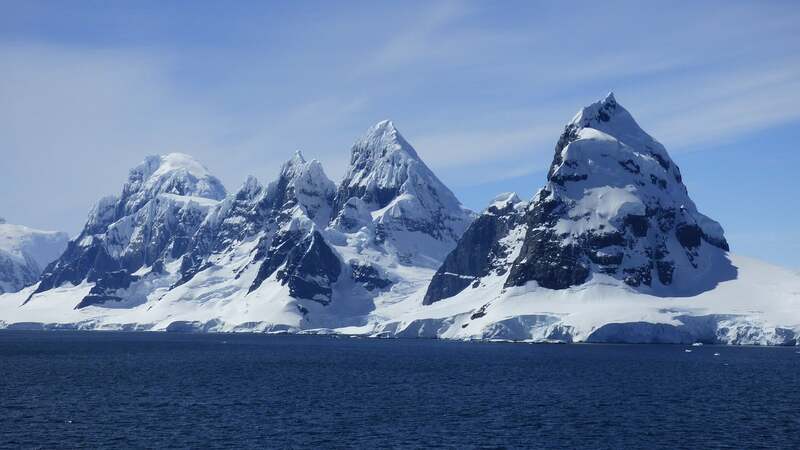 The scientists also were able to confirm that flow rates of the Pine Island and Thwaites glaciers in West Antarctica into the neighboring ocean continue to speed up. However, the acceleration rate is actually slowing down, they added. Overall, the scientists measured about 1,929 gigatons, plus or minus 40 gigatons, of ice discharge from Antarctica in 2015. Since 2008, the discharge has increased by about 36 gigatons each year. They also said that 89% of the increase in ice flow out of West Antarctica came from the Amundsen Sea part of the continent, Marguerite Bay and the Getz Ice Shelf.